Artificial Intelligence & Project Management: Beyond human imagination! Presented in cooperation with Manuel Probst. Around 200 years ago the industrial revolution changed society for good. Today, another revolution is under way, with potentially even further-reaching consequences. Experts are predicting that Artificial intelligence (AI) in industry will change everything about the way we produce, manufacture and deliver. Artificial intelligence creates a possibility of automated processes and intelligent tools that will reduce manual project work, say the presenters. In their interactive session, the lecturers will present how AI is set to change project management practice – based on academic research and experience from their own AI based project initiatives. In addition, they will be explaining how project managers can prepare themselves to stay relevant in a fully integrated, automated and predictive project management world and how they can leverage the AI opportunities in their everyday project life. Marc Lahmann & Manuel Probst will be speaking on this topic at the PMI global Conference in Los Angeles in October 2018. 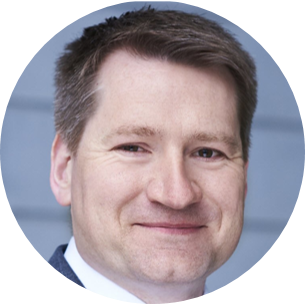 Marc Lahmann is the director of the transformation assurance division at PwC Switzerland. He has more than 15 years’ experience in advising multinational firms in IT and on business transformation challenges and troubled projects in Switzerland, Europe, the U.S. and APAC. His main focus is on the financial services industry. He has a master’s in business administration and information management. He has also worked as a senior project manager and black belt in the financial services industry.